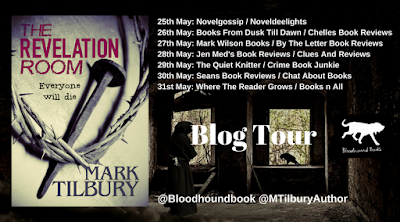 Excited to be the final Blog Tour Stop for The Revelation Room by Mark Tilbury! I LOVE psychological thrillers and this is the first in a new series. 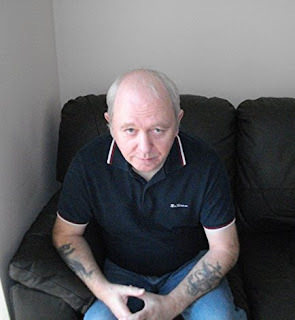 Continue scrolling down for the Book Description, Author Bio and my review. Happy reading! We open with Geoff staring into the muzzle of a gun, stuck in a tree with his camera and refusing to admit while he's really up there. "Shoot him," we hear a man say and his somewhat dimwitted sidekick does just that. He falls out of the tree and then is dragged to The Revelation Room where they have determined he is The Imposter and they must drive the devil out of him. He finds one window of opportunity and calls his son, Ben, on his watch phone and barely has time to tell him he needs help when the phone dies. Now it's up to Ben to find his way into this cult and bring his father back. Trekking off with his friend, Maddie, he does the one thing he can think of to make this happen - go undercover and join the cult. But the initiation process turns out to be more than he ever expected or deserved. Cult life has always been a fascinating culture to read about. Hive mentality, extreme religion, one crazy leader who has somehow mesmerized everyone around him that his word is God.... preying on those who have had a hard life and convincing them they have been saved. It's a treacherous, unhealthy and vile arrangement that is all too common in the world. 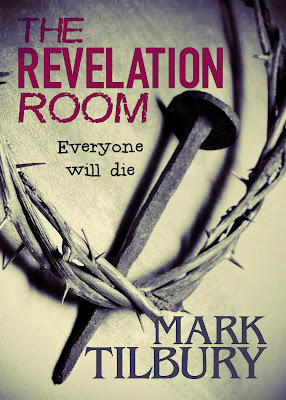 The author does a fantastic job of showing the crazy that goes on within the compound of The Sons and Daughters of Salvation. Ebb is the sadomasochistic leader who keeps his members to a small, manageable number - proving to them the hold the Devil can take on people in the outside world by using holy water (acid)... along with a variety of other dastardly deeds. Amongst the delusional and sadistic scenes, the author brings about some black humor to keep a good balance. "Mark my words, half the evil in the world is spread by Burger King and McDonald's." You know, not sure I completely disagree with you here, Mr. Tilbury! This is a fast and entertaining read if, like me, you like to read about the cult life and the mindset behind the scenes. While this one escalates quickly, it's done in a humorous, yet crazy, way that makes it less gruesome, more entertaining and you end up empathizing with some of the crazies. Get on in here - if this book is any indication of how this series will go, you're going to want to start NOW.